For example, the color red has many different meanings in other countries. In the United States red signifies danger and is often interpreted as a signal to stop, yet it also symbolizes love and passion. However, in China red speaks of good fortune, celebration and happiness. On the financial front, red denotes a rise in stock prices in East Asian stock markets while it reflects a drop in stock prices in North American stock markets. 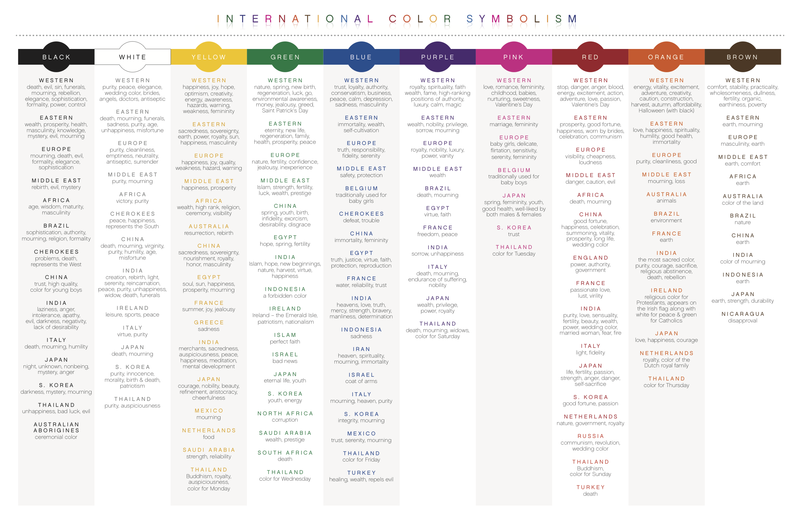 In many ways these attitudes toward color are completely opposite in these different cultures. Purple is another example. There are vast differences in how some countries perceive this color. Japan looks at purple as wealth. France sees it as freedom or peace. The U.K., China and the United States understand purple as royalty. India, however, identifies this color with sorrow and unhappiness.